You probably haven’t given much thought to where coffee comes from, except when you’re running late and don’t know whether you’ll have time to stop for your morning brew. That aside, you probably take for granted the fact that coffee will always be there when you want it. It turns out there is quite a bit involved in growing and producing the roasted products you find on the grocery store shelf. It all starts with the coffee beans chosen for a particular blend and where these are grown. Producing the perfect coffee bean requires the right combination of soil, sunshine, and moisture. However, these things vary so much that it is nearly impossible to create two crops that taste exactly alike. That is one of the reasons roasters blend a variety of beans to produce the distinctive flavors that bear their names. There are two primary beans responsible for the majority of the coffee consumed around the world. The first, and most common, is the Arabica bean. Arabica accounts for nearly 70% of the world’s coffee; it is available in a number of different varieties directly descending from the oldest known coffee trees in Ethiopia. The other bean is known as a Robusta. This bean is smaller than the Arabica, but it packs a greater punch – between 50 and 60% more caffeine. Robusta production around the world is increasing thanks to its ability to thrive in warmer climates and the fact that it is less expensive to grow and process. 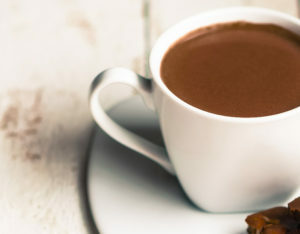 You are familiar with the unique taste of Robusta if you use instant coffee. The best coffees are grown in climates that are near, or at, the equator. That is where you will find the right combination of temperature, sun and moisture. It is also where you will find the best soils. According to the National Coffee Association USA, coffee beans are grown in more than 50 countries around the world. In North America, coffee production is limited primarily to Mexico. As far as American blends are concerned, the best come from Hawaii. You have had Hawaiian coffee if you’ve enjoyed a Kona blend. Meanwhile, a once robust coffee industry in Puerto Rico is making a comeback after years of dormancy. Central and South America are where we get most of the coffee sold in the US. The best-known country is Colombia, where growers and government officials take pride in producing what they believe is the finest in the world. Other Central and South American coffee producers include Costa Rica, Guatemala and Brazil. Africa and the Middle East provide some excellent coffee beans from Ethiopia, Kenya, the Ivory Coast and Yemen. It turns out that the Yemen was the first place coffee was commercially produced. Unfortunately, a sustained lack of water has greatly reduced Yemen’s output. Lastly, we cannot leave out Vietnam and Indonesia. These countries also contribute significantly to global coffee production. Now that you know more about where coffee comes from, consider giving Galaxie a call. We provide our customers with the finest coffee and beverage service in the New York area. It is no secret that the price of coffee has risen considerably since the start of the year. In fact, spikes in retail prices are not all that unusual over the long-term. 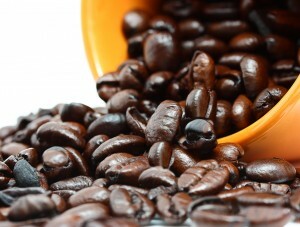 The fact is that coffee is affected by a number of different factors that cause price fluctuations on a regular basis. The single biggest factor determining the price of coffee is supply versus demand. As with anything else, if supply is reduced while demand remains constant or increases, prices go up. That is economics 101. Unfortunately, the two most recent spikes that occurred this past November and January are directly related to lost production. Brazil is the single largest coffee producer in the world, accounting for roughly 40% of the commercial market. When things go well in Brazil, the coffee market is stable. The opposite is also true. Unfortunately, some parts of Brazil experienced their hottest weather on record in January. What’s more, the two areas responsible for the majority of Brazil’s coffee production have been hard hit by a sustained drought and unseasonably warm conditions. Some experts say that as much as 30% of this year’s crop was lost due to the weather conditions. Such a steep drop affects prices in both the short and long terms. Coffee is considered a commodity on the open market, meaning it is sold by way of contracts that can be secured up to 12 months in advance. The nature of these contracts means that buyers must speculate on what they believe the price of coffee will be at the time the contract is fulfilled. Any change in supply has a definite impact on the price. Practically speaking, contracts that were secured in late 2012 or 2013 could have been negatively impacted by the reduced production out of Brazil earlier this year. Until production resumes at normal levels, future pricing will also be affected. That is the nature of commodity exchange regardless of the particular product you are talking about. Another part of coffee pricing is directly related to the costs of bringing it to market. For example, one of our biggest expenses at Galaxie is the fuel required to run our trucks. When gas prices surge, we feel the impact. All the way up and down the production line there are costs built into the price the consumer pays at the market. Despite recent price hikes for coffee, America’s most loved hot beverage continues to be one of the least expensive beverages per fluid ounce. It is our pleasure at Galaxie Coffee to provide our customers with some of the best coffees in the New York area. Being eco-friendly these days is about more than just driving a compact car and paying attention to the thermostat. It is about doing whatever we can to save energy and reduce waste at the same time. Many companies in the greater New York area are doing their part by upgrading their break rooms with eco-friendly paper products. using products made with recycled materials. The concept of being eco-friendly in the break room is not as complicated as it might sound. It is just a matter of knowing what to look for when purchasing supplies. Galaxie Coffee is pleased to offer a number of eco-friendly options. At one time, foam cups were the standard in the coffee service industry. Foam is inexpensive, lightweight, rugged, and very good at insulating hot or cold beverages. The problem with foam is that it takes nearly forever to degrade. It has been said that you could throw a foam cup into a landfill, dig it up 100 years later, and still find it intact. Paper is different. Because paper is made from tree pulp, it decomposes rather quickly. Yet paper cups have not always been popular for hot beverages because these lacked good insulation capabilities. That has changed. Today’s paper cups provide as much insulation as foam cups in most cases. The concept of biodegradable paper also extends to paper plates, bowls, napkins, drinking straws and cutlery. Today’s plates and bowls are stronger than ever, providing excellent receptacles for lunchtime meals. It is not necessary to use foam anymore. As for drinking straws, paper is every bit as dependable as plastic. Moreover, using a paper straw has the added benefit of bringing back some of those memories of childhood – if you are over age 40. Eco-friendly cutlery is now made better than ever and the prices are significantly lower than they were two years ago. Paper product manufacturers are able to keep a lot of paper out of landfills by recycling it for use in break room supplies. You have seen recycled paper for copy machines and printers, but now you can purchase paper towels, napkins, cups, plates and bowls all made from recycled materials. When you choose products made with recycled materials you are helping extend the life of your local landfill while also cutting down on less environmentally friendly products. Galaxie Coffee encourages customers to consider upgrading their break rooms with eco-friendly paper products. The cost of such products is coming down as more companies begin to use these products. Please get in touch with us to find out what products on your list we carry. Our current inventory includes everything from cups and cutlery to towels and napkins. Galaxie Coffee has found ways to allow companies to begin using these eco-friendly products immediately and gradually increase their costs. We are a leading provider of coffee service, water, break room and janitorial supplies in the greater New York area. Our customers include businesses of all sizes across multiple industries. We’d be happy to serve your company as well. Call us at 631-794-1910 to discuss your needs. Coffee service representatives from all over the country gathered in Las Vegas this past spring to learn about the newest products and trends in the business. The theme of this year’s convention seemed to focus around one topic: gourmet coffee. Customers are now demanding the same high-quality gourmet coffees in the office that have long been a staple of the neighborhood coffee shop. Thankfully, service providers are more than happy to oblige. 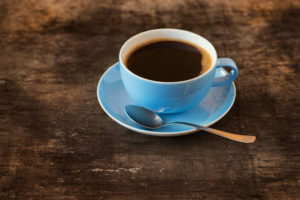 In order to satisfy customer demand, coffee service providers are working with roasters to come up with unique, signature blends they can call their own. For the genuine coffee lover, this is a great time to be engaged. It is also a great time for your office to get some incredible products from your service provider. Along with all of that gourmet coffee is a new line of equipment meant to take advantage of the single cup craze. When single cup machines were first introduced nearly a decade ago, there was considerable speculation as to whether these would become a coffee service mainstay or not. Well, you know the rest of the story. The challenge for coffee service companies is to adapt gourmet coffees to the single cup mentality. For example, a latte is not truly genuine if it is not made with liquid milk. The same can be said about cappuccino and espresso. Providing our customers with gourmet lattes requires equipment that can handle liquid milk instead of relying on powders. By the time the 2014 convention drew to a close, it was apparent that coffee service businesses have a lot of new tools they can use to keep customers happy. And in fact, that’s what coffee service is all about. It is about making sure customers have as many choices for hot beverages as possible at their fingertips, and equipment capable of producing high-quality beverages reliably and efficiently. Galaxie Coffee is proud to be one of the leading office coffee service providers in the greater New York area. In addition to gourmet coffees and single cup machines, we offer a full variety of hot and cold beverage choices along with tea, juices, energy drinks, soda, bottled water, water coolers, break room and janitorial supplies. There really is nothing like a good cup of coffee, is there not? Perhaps that is one of the reasons coffee is one of the most popular hot beverages in the world. How popular is it? 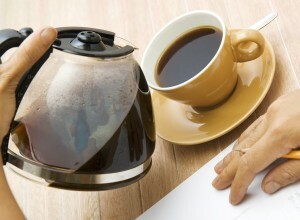 The latest estimates suggests as many as 10 million tons of coffee are consumed every year. The wonderful thing about coffee is the variety available to consumers. In the first part of this four-part series, we talked about some of the varieties cultivated on the African continent. In part two, we will discuss coffees from Indonesia and the Caribbean. Needless to say, there is no shortage of choices for coffee lovers. Sulawesi – The island of Sulawesi is a mountainous island in the Malay Archipelago off the coast of Borneo. 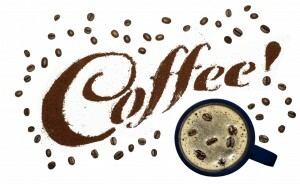 Their coffee is smooth, full-bodied, lightly acidic and with a very earthy flavor. Some people describe it as being ‘bright’. Sumatra – Coffee from Sumatra is a truly unique experience. You will notice it is different right away, due to its syrupy consistency and unusually dark, blue-green color. As for the flavor, Sumatran coffee tastes slightly chocolate-like. The flavor is very smooth, rich, and deep. Timor – Timor is an island at the eastern edge of the archipelago divided into eastern and western regions. The western region is part of Indonesia while the eastern region is independent. Regardless, their coffee is one of the best-kept secrets of Indonesia. Timorese coffee is grown organically and dry processed. Moreover, although it has an earthy taste, it is slightly sweet. It can be musty, however. Javanese – Among all of the cultural groups in Indonesia, the Javanese are the most popular. Their coffee is also the most popular in the region. It is wet processed for a less earthy taste; the flavor is less acidic and smoother. That about sums up coffee from Indonesia. You might consider trying them if you are looking for something unique. Jamaica – The most well known coffee from the Caribbean is Jamaican Blue Mountain. Genuine Blue Mountain is mild, smooth, and well balanced. It is the most expensive coffee in the world with a price that can be as much as 20 times higher than other coffees. Puerto Rico – The Yauco variety from Puerto Rico is said to be as good as Blue Mountain. Nevertheless, since Yauco is not nearly as well known as Blue Mountain, the price is considerably lower. This is a great option if you want to try Caribbean coffee without paying an arm and a leg. Yauco is rich, smooth, and slightly sweet and fruity. This concludes our tour of coffees from Indonesia and the Caribbean. The third part in this series will take a look at coffees from Central and South America. Coffees from these regions are what we consume most of here in the United States. In the meantime, we hope you’ll consider Galaxie Coffee for your office coffee service. We have been proudly serving businesses and organizations in the New York Metro region with the best coffee, water and beverage service since 1969. “Joe”, “Java”, and “wake-up juice” – we have a lot of names to describe our morning beverage of rich coffee bean flavor and a healthy dose of caffeine. However, no matter what you call it coffee is one of the most popular hot beverages in the world. Some form of the drink is served nearly anywhere you go. As one of the leading coffee service providers in the New York Metro area, we want to help you better understand the global phenomenon that is coffee. Therefore, we have put together a four-part series designed to introduce you to the coffees of the world. Please do not hesitate to contact us if you are looking for a coffee service provider. 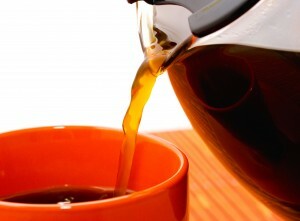 We offer a full line of coffees, teas, bottled water, and other beverages. Berry Variety – There are two main types of coffee berries that account for most of the worldwide production: arabica and robusta. The former is preferred because it has more flavor and is less bitter. And just for the record, there are hundreds of regional varieties of both arabica and robusta. Processing – After coffee berries have been harvested, they can be processed according to either a wet or a dry method. Wet processing involves washing the berries; dry processing does not. Dry processed coffee has more of an earthy, gamy taste. Roasting – The roasting process is where it all comes together. The key to roasting the berries is the amount of time they are under heat. Roasting reduces acidity and adds a new dimension of flavor, much the same way charcoal grilling adds flavor to meat. Some roasters add additional flavorings during the roasting process. Blending – Lastly, roasters will often blend multiple regional varieties to produce a unique kind of coffee that they can put their brand name on. For example, a blend might include arabica from Columbia, Mexico and Panama. Now that you know what gives coffee its flavor, let’s talk about some of the best coffees from around the world. You might want to go fill your cup before we get started. Ethiopia is considered the birthplace of coffee, so that is where we will start. The interesting thing about Ethiopian coffee is the incredible number of regional varieties. One of the favorites is Yergacheffe, a light and fruity coffee from southern Ethiopia. Yemen – Yemenis dispute the fact that Ethiopia is considered the birthplace of coffee. Nonetheless, coffee from Yemen is very strong and earthy. The berries are allowed to grow wild and are dry processed upon harvest. Zambia – Though the industry is relatively new in Zambia, their coffee production has really matured in recent years. Zambian coffee tends to be less acidic and softer than other African coffees, but the flavor is very rich. Tanzania – Most of the coffee grown in Tanzania is cultivated on Mount Kilimanjaro alongside bananas. The flavor is unique because of it. One of the most popular Tanzanian varieties in the U.S. is known as peaberry; a variety characterized by each berry having only a single bean rather than the normal two. We hope that we have whet your appetite for some new, more unusual coffees for you to taste. In part two of this series, we will look at coffees from Indonesia and the Caribbean.